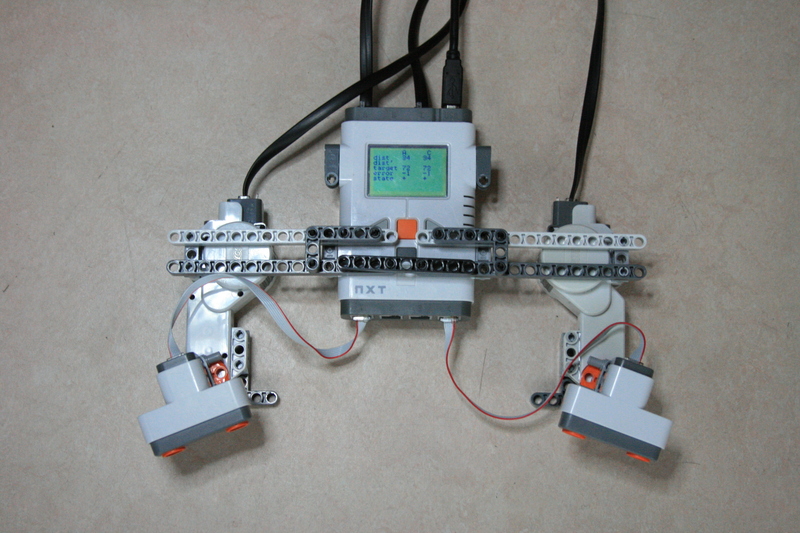 I am a new member on this site and beginner at robotics. I am using the bioloid kit and i have to make the robot to locate the ball and kick it. I came up with the idea of not using camera at all, just the sensor AX-S1 to measures the sound and moves towards the ball (noisy ball). I am thinking the use of roboplus but i am not sure if i will implement this idea right. Any ideas of how i will move on with this project? Last edited by Evagorou on Mon Jan 28, 2013 8:42 pm, edited 1 time in total. I'm not too familiar with Sound localization but as far as I understand for this to be possible you'd need multiple sound sensors located around the Robot's head. Then, depending on which one has the highest readings you turn towards the source of sound. afaik the Bioloid only has 1 sound sensor. In the PREMIUM kit, it is possible to add analogue sensors to the A/D ports and read them in Roboplus (it has 5, 2 are used by the Gyro). You may want to google and read some more about sound localization. Thank you for your reply. Yes you are right that i need more sensors to do that idea. It's the same idea that you have told me about the readings. My problem now is how i can be accurate enough to kick the ball precise. I am thinking to use that idea below : Let's say that the robot have to be 5cm away from the ball to kick it properly. I will measure the sound at that specific spot (it will be the max sound ) and via roboplus i can give a command which saying when you detect the max sound, stop and then kick .Of course i have to test it first and see how accurate it is. I try to copy the link for rhe manual but i can't. Last edited by Evagorou on Mon Jan 28, 2013 8:48 pm, edited 2 times in total. Again, I'm not too familiar with this technique but, as far as I understand, ambient noise has a significant impact on the calibration and readings. That's why Ultrasonic sensors are often used: because unless you have a bat around or other devices producing ultrasonic noises, they usually operate on sound frequencies that are not "crowded". As I said I am not familiar with the specifics of this technology at all, but I would suggest investigating these potential issues. Yes ultrasonic is a good idea but i am not sure if i can do that. I will try to find some datasheets for AX-S1 sensor to see what is going on with frequency. Last edited by Evagorou on Mon Jan 28, 2013 8:45 pm, edited 1 time in total. Evagorou wrote: Yes ultrasonic is a good idea but i am not sure if i can do that. I will try to find some datasheets for AX-S1 sensor to see what is going on with frequency. each of the sensors measuring the distance to an obstacle, should turn to an angle calculated by the formula below. As a result, the part will look like sensors always looking towards the obstacle. This formula - a consequence of the cosine theorem http://en.wikipedia.org/wiki/Law_of_cosines , as the following illustration will help you better understand the symbols of the formula.